The best part of dinner isn’t the entree or the appetizer, it is the scrumptious dessert afterwards. 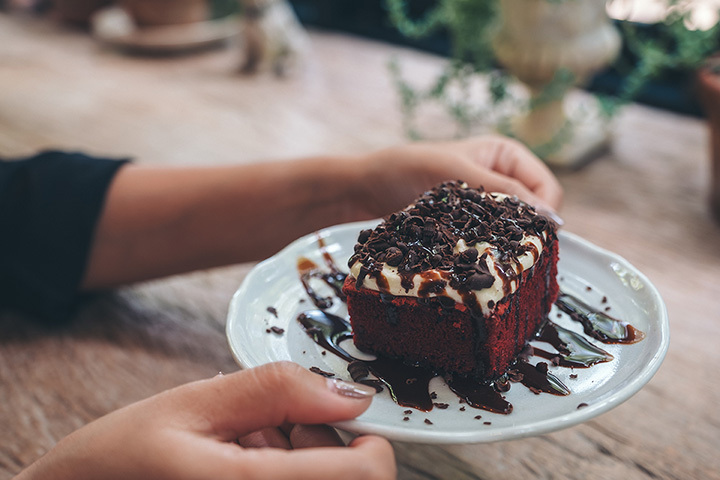 From melt-in-your-mouth ice cream to New York cheesecake with just the right consistency to decadent chocolate cake, there are so many desserts to enjoy in South Dakota. Satisfy your sweet tooth at one of the 10 best places for dessert in the state! Owned and operated by a husband and wife team, Cafe Brule is a centerpiece of the Vermillion culinary scene. This quaint and cozy cafe is open for breakfast, lunch, dinner, just drinks, or just dessert. The extensive dessert menu is a favorite for local sweet teeth, with plenty of cake varieties (vanilla champagne cake, country carrot cake, cupcakes, chocolate stout cake), cake truffles (vanilla champagne, decadent chocolate, cookie dough, and other seasonal flavors), creme brulee, New York-style cheesecake, chocolate flourless torte, ganache fondue cake, chocolate banana Bundt cake, vanilla bean sundae, lemon curd tartlet, pie in a variety of flavors, and rustic berry or apple tartlet. There is a decadent dessert for all taste buds at this classy Vermillion cafe! Located in the quaint and quiet Black Hills town of Hill City, Alpine Inn serves up classic European fine dining in an elegant and worldly atmosphere. The charming restaurant has been family owned and operated for over three decades, carrying on a delicious culinary tradition in Hill City. While the simple menu includes many delectable options, the real star of the show are the dessert choices. Patrons can choose from brownies, Napoleon French pastries, bread pudding, apple cheese strudel, Alpine-style tiramisu, berry tarts, mousse, Belgian waffles, creme brulee, cake, pie, sundaes, and even more! Woolly’s is a must-try restaurant when visiting Hot Springs in the southern Black Hills region. Family owned and operated, Woolly’s Grill and Cellar serves up steaks and other grilled specialties using only the finest and freshest ingredients. The menu includes something for everyone, whether a perfectly done steak or a refreshing salad or a divine dessert. Their dessert options are locally famous and include favorites like homemade pies, creamy cheesecakes, and sweet pastries. Patty’s Place is a locally owned and operated cafe that has become a household name in Belle Fourche and the surrounding areas. In this small but charming restaurant, customers are always greeted by smiling and incredibly friendly workers who care about every single customer’s experience. There is no set dessert menu, but offerings usually include luscious caramel rolls, fresh donuts, cinnamon knots, fresh chocolate chip cookies, snickerdoodles, heavenly apple pie, coffee cake, or succulent chocolate cake. This cute roadside diner is a favorite among locals and tourists alike. The wonderful workers serve up an all-American experience with malts and shakes, burgers and delicious fried food, all in a friendly retro atmosphere. Dessert options are shakes, malts, and sundaes available in fourteen different flavors, as well as specialty sundaes like brownie avalanche or chocolate covered cherry. Max & Erma’s is a favorite in Aberdeen due to their tasty menu offerings in a clean and friendly environment. The menu, which has special offerings for those with gluten sensitivity, has everything from Baja fish tacos to soup of the day to barbecue sandwiches to half pound burgers, but make sure to save room for dessert! There are many treats available like New York-style cheesecake, banana cream pie, chocolate cake a la mode, fresh baked cookies, and an all-you-can-eat sundae bar. Dining at Shahi Palace in Sioux Falls is like stepping into India itself, as the food and environment are perfectly traditional. The award winning menu serves up Indian cuisine made in their wood-burning tandoor oven. Whether samosas or pakoras or masala or naan, there is no way to go wrong here! But don’t forget to save room for one (or more!) of their delicious, traditional desserts which include kheer (a cold dessert made with long grain basmati rice, milk, and nuts), gulab jamun (deep fried cheese balls served in syrup), or gajar ka halwa (scrambled carrots with dry milk and nuts). Millstone Family Restaurant has become a classic eatery in the Black Hills, due to their wonderful food, excellent service, and friendly, family-oriented atmosphere. The menu has local favorites like Indian tacos, barbecued pork ribs, and Philly cheese steak sandwiches, but the real crown jewels of the menu are the desserts! The dessert menu has cakes, fresh cream pie, fruit pies, ice cream sundaes, hot fudge cake, ice cream, hand-dipped floats, or thick shakes and malts. Millstone has locations in Rapid City and Spearfish. Dakotah Steakhouse is the premier upscale eatery in Rapid City, known for its elegance and creative and fresh menu. Each dish is specially crafted with care by the talented chefs. Patrons can choose from South Dakota favorites like chislic, walleye fingers, venison short ribs, steaks served with traditional fry bread, buffalo, burgers, sandwiches, and delectable desserts like Lakota wojapi and fry bread, creme brulee, kuchen with berry toppings, apple crisp, and Silver Lining ice cream. Family-owned Rustic Rolling Pin is a Spearfish gem and a perfect spot to refuel after a long day of hiking in beautiful Spearfish Canyon. Stop here for a light lunch and then satisfy your sweet tooth with one of their many dessert and pastry offerings. From homemade pies to sticky caramel rolls, there is something for everyone. Available pie flavors change by season, but some of their most popular include Arizona lemon, blueberry, and chocolate walnut.